I got to play with some new-to-me Papertrey Ink goodies while at a craft weekend in February! 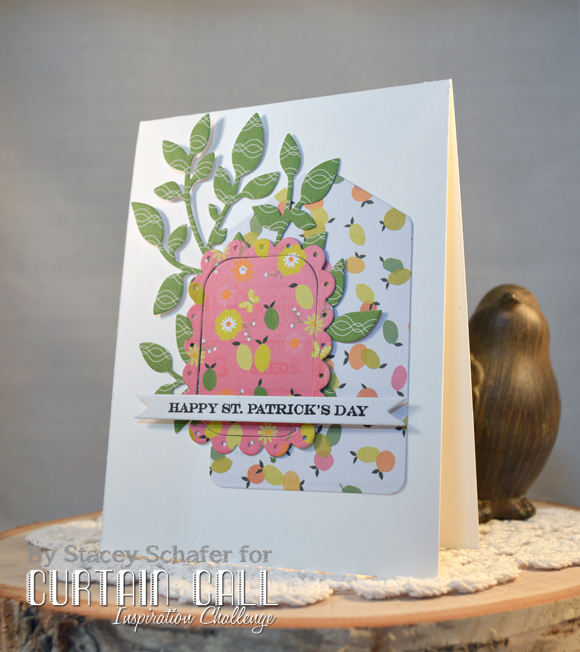 Those goodies helped me whip up a sweet and simple card with a spring feel to go along with the newest Curtain Call challenge! That's right! It's time for a new Curtain Call Inspiration Challenge! Head on over and play along with us! The LEAD will be invited as a Guest Designer in a future challenge! 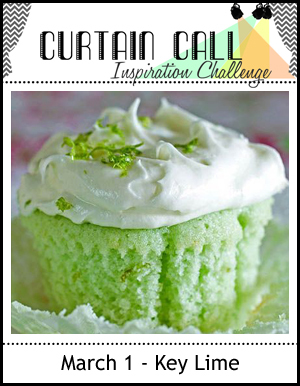 Stop by the Curtain Call Inspiration Challenge: Key Lime for the challenge details and to play along with us! How cool is this! 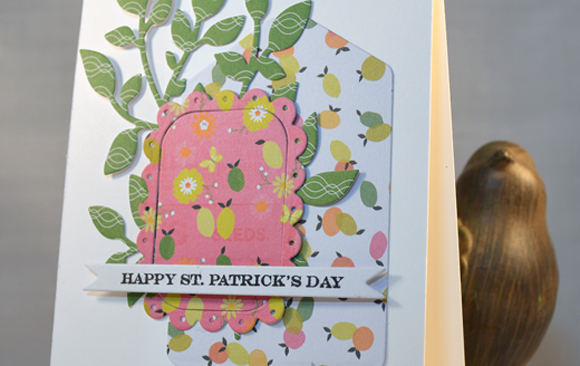 I did not even think about St. Patrick's Day when making my card! Great design, Stacey! Ahh...I didn't see this at the craft weekend! I love the patterned paper and the die cuts you used Stacey. Fabulous! Love the pretty papers and the dies you used Stacey. Sweet card.